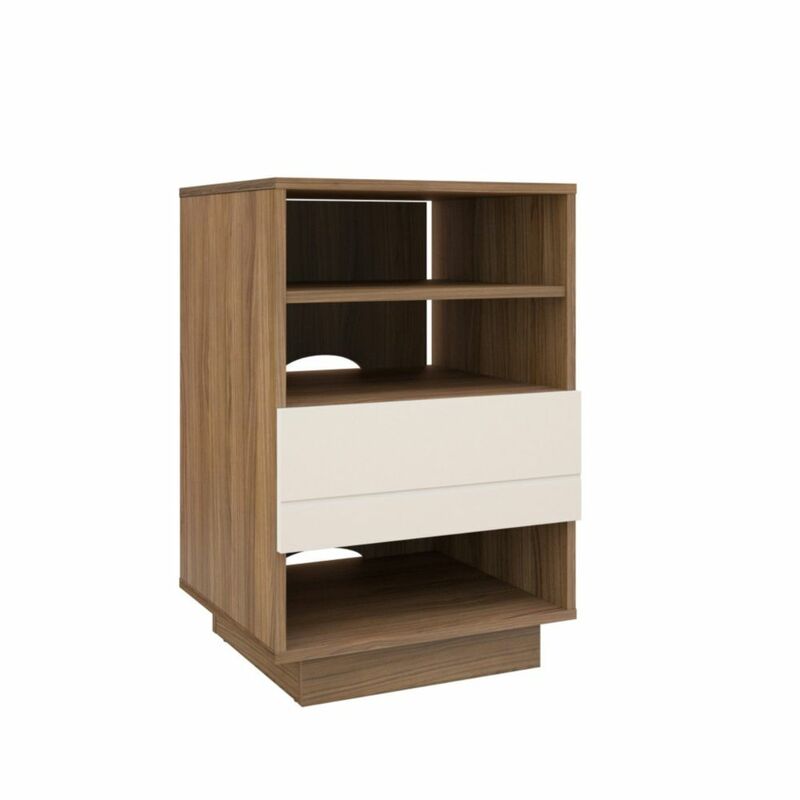 Sequence Collection from Nexera is a trendy and easy to live entertainment collection offered in a rich walnut and white matte finish. Sequence Audio Cabinet from Nexera features 1 storage drawer and 3 open spaces for your electronic components; the cabinet also features a removable back panel to facilitate wire management and optimize air flow. The Sequence Audio Cabinet can be paired with matching Sequence TV Stand for a complete home entertainment set. Part of the Sequence Collection from Nexera. Visit nexeradistribution.com for more details. The EL21SD is an elegant addition to preserve, cool, and display your favorite wines while enhancing any home decor. Featuring a 21 bottle capacity automatic defrost wine cooler built into the cabinet as well as top dovetail storage drawer with slow close hinge, all in a luxurious espresso cabinet finish. The Elegance EL21SD is sure to be a welcome focal point in any home. Rustic, industrial display cabinet with a 1 drawer can work as a stand alone piece or with a console table to create a wall unit. Made with powder coated metal frame and engineered wood with melamine finish to last. Perfect for displaying your accessories, dicor, or media components.Drawer with black metal handle & glides. Sequence 1-Drawer Audio Cabinet in Walnut & White Sequence Collection from Nexera is a trendy and easy to live entertainment collection offered in a rich walnut and white matte finish. Sequence Audio Cabinet from Nexera features 1 storage drawer and 3 open spaces for your electronic components; the cabinet also features a removable back panel to facilitate wire management and optimize air flow. The Sequence Audio Cabinet can be paired with matching Sequence TV Stand for a complete home entertainment set.